1) The 1st part of the process is to write your script. Our writers can either write a script for you, or you can write it yourself. We can even write up to 3 different* characters for you to choose from. 2) Once the final script is ready, we’ll work on your storyboard design. The storyboard is a sketch of all the frames that will be in your video. 3) You can choose from different types of voiceover artists to read your script, in any accent or language. 4) the next step is to start the animation work. We can use any animation style you like. 5) The 5 step of the process is to add music that matches your script, add sound effects. And render your final video. 6) Add SEO Keywords to selected files inside your video file, and make your final video. ALL URLS WILL BE PINGED to let search engines find and index your VlDEO content! You will receive a detailed report showing all the submitted links! 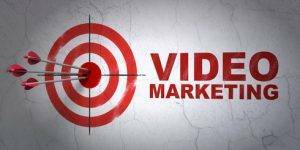 Geek In NY powers your video marketing with a full team of experts. Our video content strategists, production managers, script writers, designers and screen talent collaborate to give you professional-quality videos. Ti Web Master video marketing service creation process ensures your videos amplify brand identity, online reputation, and expertise through actionable content. To start us on your custom video project we need to make payment of 50%. Once a video is finalized you will need to make the balance payment.